Sam's Club Memberships, Twitter Party & Giveaway! | More Crunchy Beach Mama! Sam’s Club Memberships, Twitter Party & Giveaway! This is a sponsored post from Savings.com and all opinions are my own. Links are affiliate. Visiting our Sam’s Club is a family affair. I like to see what the newest products and deals are and the kids love walking around to see what fun items they can find. Last month it was all the costumes and I know this month will be the holiday blow ups! Don’t forget new moms that Sam’s Club has every day low prices on everything needed for babies & toddlers. Diapers, food, toys, gear, you name it! Use the club pickup and you don’t even have to bring the little ones inside which is super nice! Sign up for membership and get lots of great details about all the offers available for new Sam’s Club members. 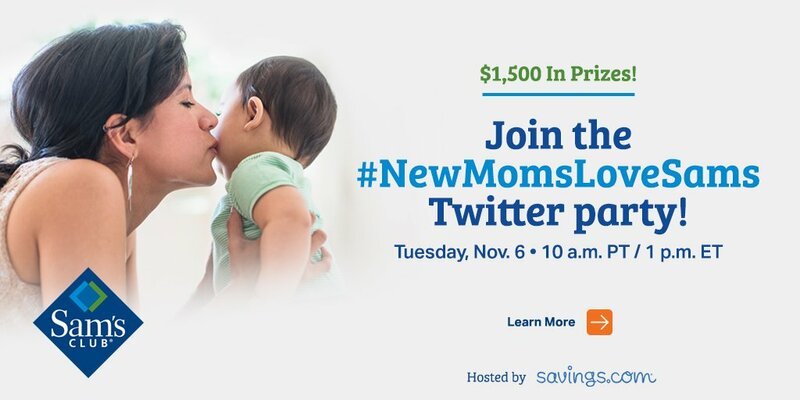 Join the #NewMomsLoveSams Twitter party on November 6th at 10am PT for a chance to win $1500 in prizes!! RSVP here. And don’t forget to enter this giveaway! 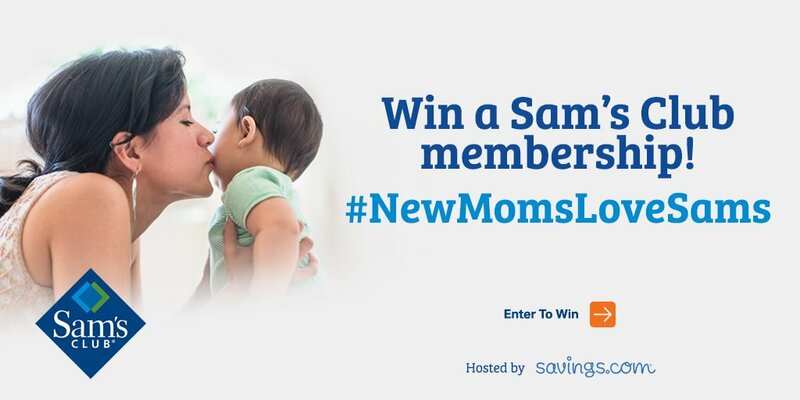 25 Winners for a $100 Sam’s Plus Gift of Membership Gift Cards! Ends Friday, November 9th at 11:59 PM ET. Winners notified November 12th via email. Good luck! You will love your Sam’s Club Membership and use it at least every month, especially you new moms! Do you have a Sam’s Club card? How often do you shop there?